“No country can prosper without growth. 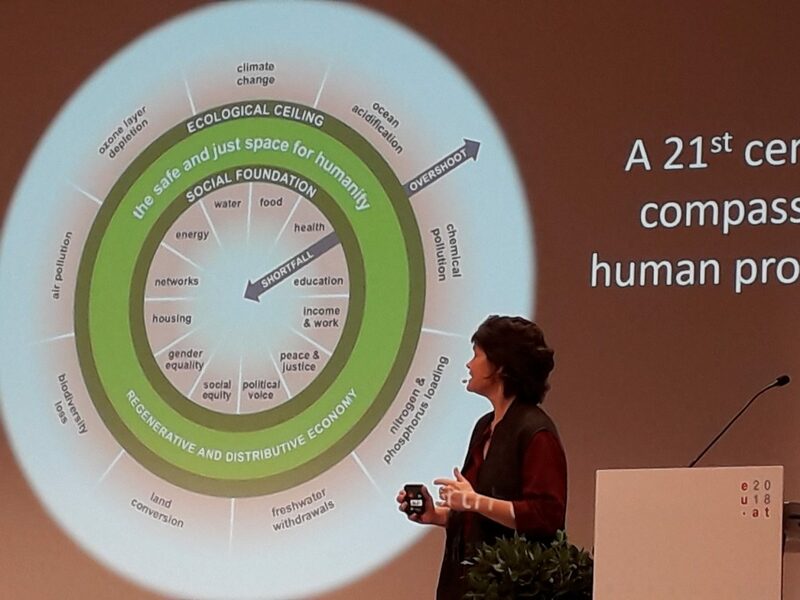 But no country will solve its environmental problems with growth,” said Kate Raworth in the opening session of the second day of the conference “Growth in Transition”, summarizing the tension between ecological and social issues. And at the same time it indicated the direction of the change of course. 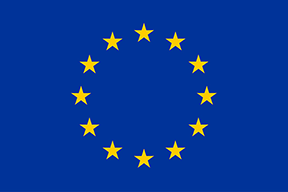 Countries with already high economic performance are called upon to leave the growth path. “We need a new compass for the 21st century, and if we don’t find it, we will experience major crises,” said the British economist. With her model of doughnut economics, described in the book of the same name, she provides this compass. The model consists of two concentric circles that mark boundaries and are reminiscent of a doughnut. It brings together social foundations (inner circle), i.e. the socio-economic basis, and the planetary boundaries (outer circle). The goal of sustainability and the Sustainable Development Goals is to find our way back to the limits of the global ecosystem and at the same time to provide all people on earth with the basis for a good life. According to Raworth, green growth will not be enough. “We need an absolute decoupling of natural resource consumption and securing prosperity. A policy for the 21st century would have to change the direction of development just as the economy would have to change investment flows. And: “Paradigm change to wellbeing growth will change our matrix of action”. This is where Tim Jackson, author of the bestseller “Prosperity without Growth”, came in. In his presentation he referred to a founder of modern physics from Vienna, Ludwig Boltzmann. Boltzmann had significantly influenced the knowledge about entropy and the embedding of all human actions in natural ecosystems. Since the material world is determined by decay – once used raw materials lose their quality and burnt oil is not out of the world, but can only be burned once – we reach physical limits. “If people want to survive in nature, they must learn to live with the sun,” is the central message. Access to natural resources is the basis of all life. Since these are limited, we must strive for a better life with less consumption of resources. Jackson pleaded for a new direction for growth. Humans seem to be always striving for something new, GDP growth as the basic logic of the 20th century must be followed by the growth of immaterial goods in the 21st century. Happiness research describes the “flow” of devotion to a task or a concern, as a state to be striven for. This usually has little to do with material things. When the basic needs are satisfied, it is a matter of investing in immaterial things, such as artistic creativity or social relationships, according to Jackson. 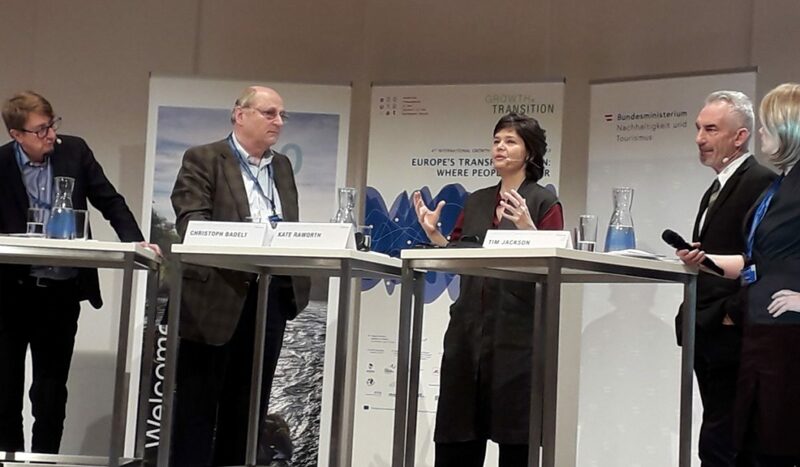 Christoph Badelt, head of the Austrian Institute of Economic Research (WIFO), reminded the audience in the discussion moderated by Corinna Milborn and Peter Woodward of the need to come up with concrete proposals for measures to help policy makers tackle the issue of reorientation. He also raised the legitimate question of who should be responsible for determining what a good life is and how material prosperity should be distributed in a society. Jackson and Raworth, on the other hand, stressed the importance of new ideals and goals that come before the lists of new measures. The policy of material growth is also based on an ideal, that of accumulating material goods and increasing consumption. Only a fundamental paradigm shift, i.e. new narratives of a good life, would develop the strength to initiate a different policy for a changed economy. The question of what can be the drivers for the necessary change and under what conditions collective learning takes place will remain with us beyond the conference. What is certain, however, is that we cannot negotiate with nature, but can only refine knowledge about ecosystem boundaries.